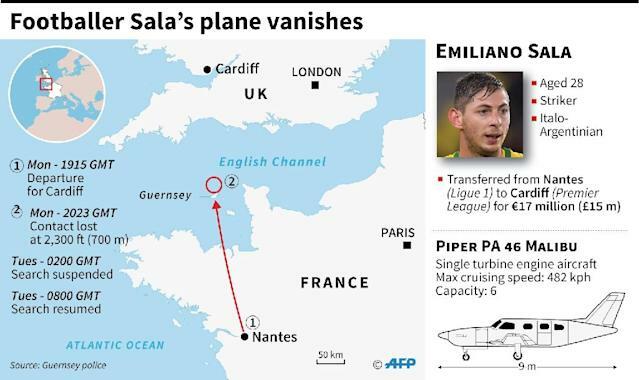 St Peter Port (Guernsey) (AFP) - Hopes all but vanished of finding new Cardiff City striker Emiliano Sala alive as British, French and Channel Islands rescuers on Wednesday suspended a second day of searches after the plane he was flying in disappeared at sea. The Argentine footballer had sent relatives a desperate message shortly before taking off saying the plane looked like it was "going to fall apart". Objects have been found in the water, and police on the British island of Guernsey, which sits off the north coast of France, warned there was little chance of finding him. "A decision about whether to recommence will be taken early Thursday morning," police said in a statement. "The water is very cold at the moment, the sea conditions are very rough out there, the wind is very strong," John Fitzgerald, chief officer of Channel Island Air Search, to AFP. "I think even the most hardened person out there -- they'd have to be really tough to survive those conditions for the length of time that they'd been there." The Guernsey coastguard also named the pilot, the only other person in the plane, as David Ibbotson. British media said he was a 60-year-old married father of three and lived in Scunthorpe in northern England. 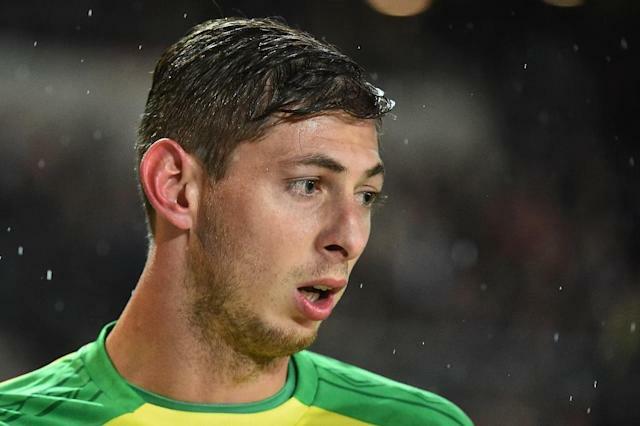 Argentine media reported that Sala sent a final message before the plane disappeared from radar around 20 kilometres (12 miles) north of Guernsey on Monday night. "I'm on a plane that looks like it's going to fall apart, and I'm leaving for Cardiff," the 28-year-old said in a rambling WhatsApp audio message. "If in an hour and a half you have no news from me, I don't know if they will send people to look for me, because they will not find me, you know... I'm so scared," he added. The player's mother, Mercedes, told Argentine television channel C5N that the plane belonged to Cardiff chairman Mehmet Dalman, but he disputed the claim. "I can say to you categorically that the plane had nothing to do with Cardiff City," he said. Dalman said the club had offered to pay for his flight but Sala had "made his own arrangements". "I can't tell you who arranged the flight because I don't know." Britain's Air Accidents Investigation Branch (AAIB), which is investigating, said the single-engine Piper PA-46 Malibu plane was registered in the United States. Sala, who signed with the Premier League club on Saturday from French Ligue 1 club Nantes for a reported fee of 17 million euros ($19.3 million), was due to attend a training session with Cardiff on Tuesday. In Sala's Argentine hometown of Progreso, his father Horacio told the press that as "the hours go by and I don't know anything, it makes me fear the worst". Sala, who had been at Nantes since 2015 and had scored 13 goals in all competitions this season, had signed a three-and-a-half-year contract with relegation-threatened Cardiff subject to receiving international clearance. Cardiff's executive director Ken Choo said they were all "very shocked" at the news. "We continue to pray for positive news," he said. 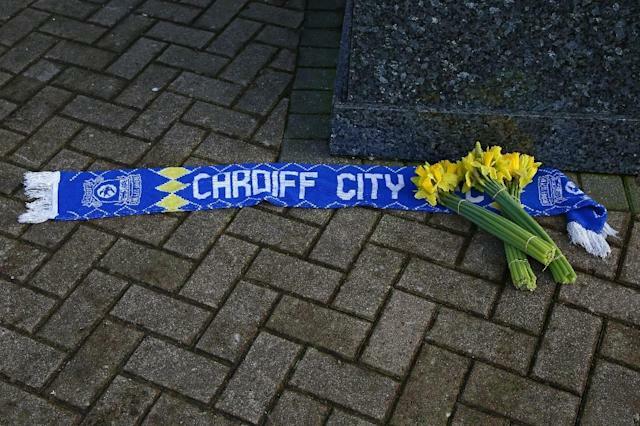 Cardiff called off Tuesday's training session, and stunned supporters laid flowers and scarves outside the club's stadium. "The excitement of a new signing arriving at your club can bring so much happiness. That's how we felt about Sala," said Cardiff fan Josh Thomas, 24. "He was the one who was going to turn our fortunes around and score the goals that would keep us up. He was going to be the one adored by the fans, including me. But within a few hours so much has changed." Argentine football legend Diego Maradona said he was hoping the plane had simply gone astray. "I hope it went to the wrong airport and we find him alive, that's all," he said in an audio message. Real Madrid coach Santiago Solari, also an Argentinian, said: "We feel great sadness of course and we send all the strength and love in the world to the relatives, close friends, and people that know him." "And of course we never lose hope until the end," he said. With his former teammates in shock, Nantes have postponed their French Cup tie against third-tier side Entente Sannois Saint-Gratien on Wednesday until Sunday. 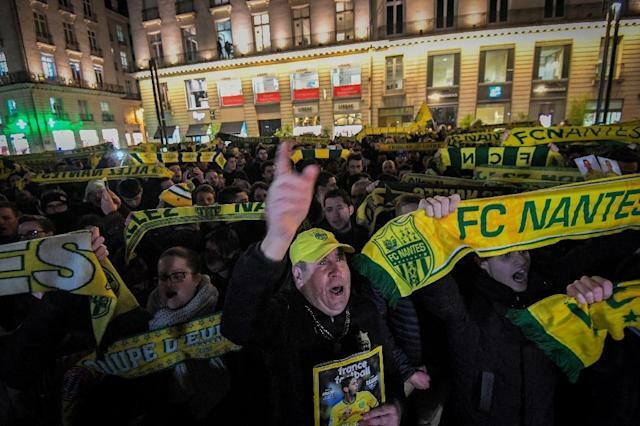 Hundreds of fans gathered for a vigil in the western French city on Tuesday, placing flowers, scarves and flags on a fountain and chanting the striker's name. 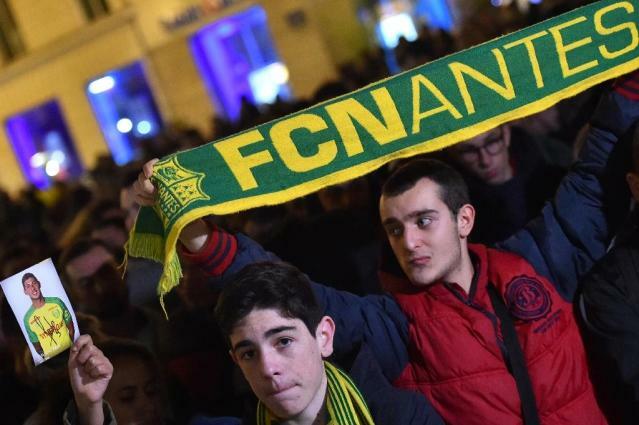 "I still have hope, he is a fighter," Nantes president Waldemar Kita tweeted.